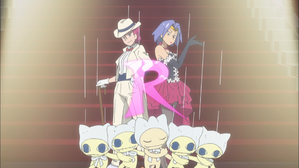 » Episode Guide » Viewing Episode: ダンスダンスで進化せんか？/Won't You Give us a Dance Dance Evolution? The Young Flame of Alola! The Birth of Royal Satoshi! !